Sometimes referred to as the “Sandwich”, “Hamburger”, “Air Vent”, or “Hotdog”, the Context Menu has many names, but people often don’t exactly know what to call it. In ServiceNow, the icon first was changed in the Eureka version to be an icon instead of a dropdown. This “Context Menu” usually stores additional options depending on the list or form you are viewing. It is an important aspect of ServiceNow that is used frequently. The Hamburger icon is not new. It is from 1981. 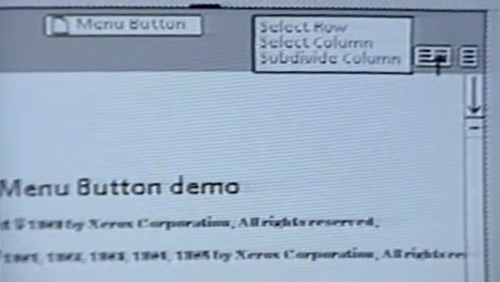 The Hamburger icon was originally designed by Norm Cox for the Xerox Star, the world’s first graphical user interface (GUI). The icon was designed to be simple and functionally memorable in so to mimic the look of the resulting displayed menu list. The icon wasn’t originally named the hamburger at first. “We often referred to it — tongue in cheek — as ‘the air vent to keep the window cool,’” said Norm Cox. Customers can call it whatever they choose, they bought their ServiceNow licenses.